Mama Love: I Found My Favorite New Coffee! 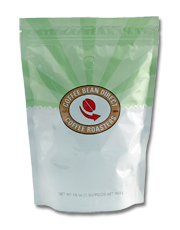 I was recently contacted about reviewing a bag of Coffee From Coffee Bean Direct, I was naturally excited because, well, I live off of coffee, I mean I would have an IV of the stuff if I could, with that being said I am very particular about what coffee I like, there is one brand that I have my mom mail me because they do not sell it where I live, so I wasn't expecting to really be blown away by this coffee, but I was wrong, like way wrong!! First off this coffee smells heavenly! The next morning, after receiving the coffee, I decided to take a break from my normal coffee and give this one a try, before the pot was even halfway filled the wonderful aroma of this coffee filled my house I actually stood there watching and waiting for it to be done so I could pour myself a cup! And as soon as I tasted it I was sold the flavor is out of this world, just wonderful, I will admit I drank 2 pots that day and went to bed thinking about being able to wake up and make another pot! I definitely have to add this to the top of my favorite coffees list, it's like sunshiny magic in a cup! Do you want to check out Coffee Bean Direct?! I am coffee lover. I drink coffee every morning and at night after dinner. Kopi luwak is one of my favorite coffee. It is very rich in taste.